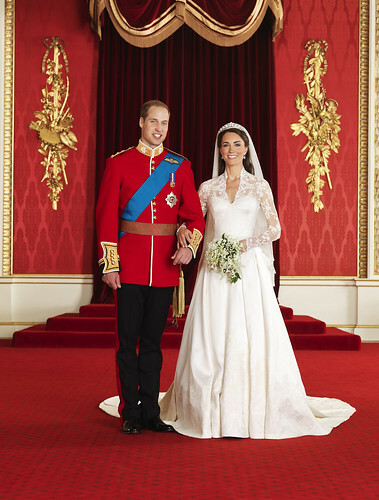 Prince William's whispered words to Catherine Middleton at the altar in Westminster Abbey, "you are beautiful", are not his only romantic gesture. The Duke of Cambridge, as he now is, refused to sign a prenuptial agreement with his fiancée. "William was advised that some sort of legal agreement might be a good idea," said one of his friends. "But he loves Kate and trusts her implicitly, and was adamant that no agreement was necessary." When Crown Princess Victoria of Sweden, a guest at the royal wedding, married her former fitness instructor, Daniel Westling, last year, agreements were drawn up to define how the wealth would be divided should they separate. Lawyers acting for the princess ensured that all property, inheritance and gifts belonging to the royal household remained in her name alone. After Prince William's engagement to Kate Middleton was announced last November, Patrick Jephson, a former private secretary to Diana, Princess of Wales, urged the couple to sign a prenuptial agreement, saying it was important to be practical and ensure that every future eventuality was considered.